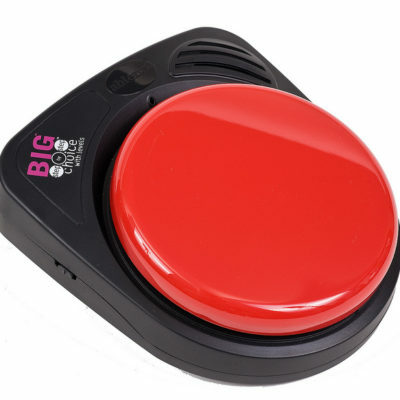 Simply record any message directly into the BIGmack or LITTLEmack Communicator for one-touch, single message playback up to two minutes in length. 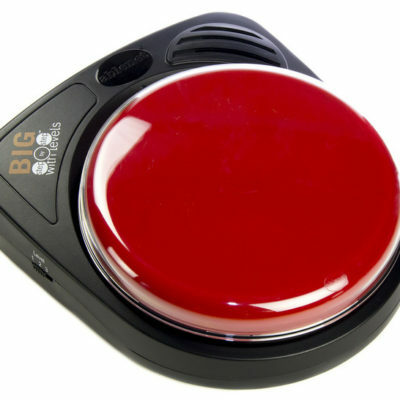 Record any single message directly into the BIGmack communicator and press its activation surface for playback up to two minutes in length. 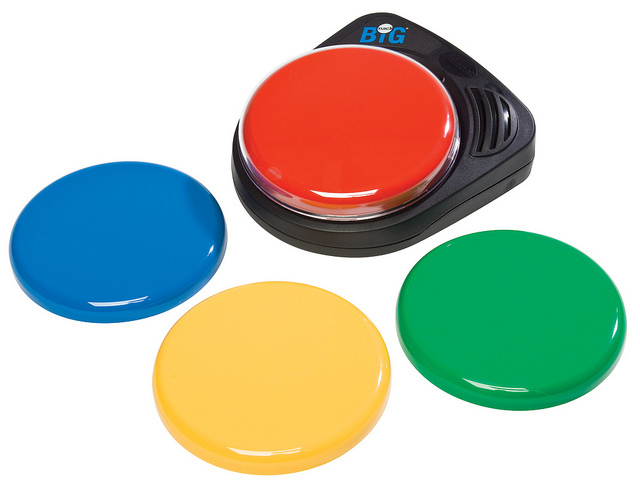 With its large, 5-inch activation surface, BIGmack is an excellent choice for persons with visual impairments or who require a larger target area. Powered by a replaceable 9 volt battery – BIGmack never needs charging and can last for weeks or even months on a single battery. 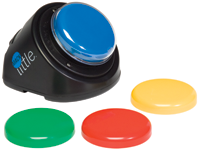 Simply record any message directly into the LITTLEmack Communicator for one-touch, single message playback up to two minutes in length. Connect a toy or battery operated appliance for instant positive reinforcement. 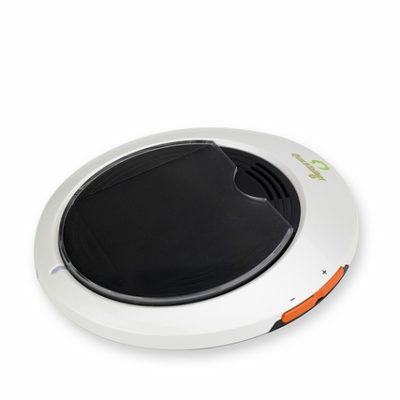 With its angled base and 2½-inch activation surface, LITTLEmack is perfect for mounting, and is recommended for persons who can access a smaller target. 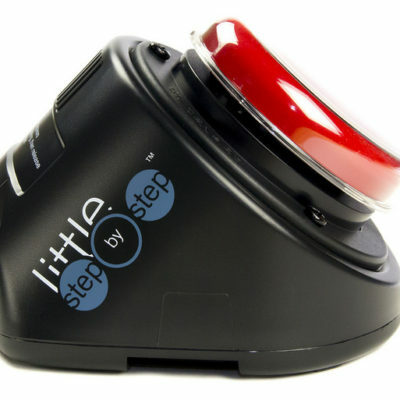 Powered by a replaceable 9 volt battery – LITTLEmack never needs charging and can last for weeks or even months on a single battery.